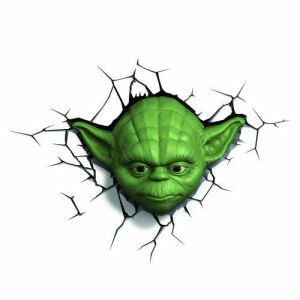 We have Just Sold out of Star Wars Yoda Head 3D Nightlight. This Item is unavailable at present. 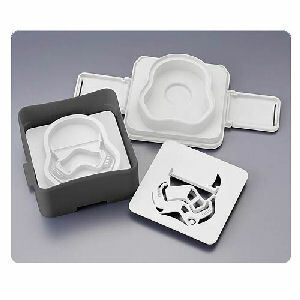 From the Star Wars collection by 3D Lighting Innovations. Star Wars Yoda Head 3D Nightlight. This battery operated light requires 3 AA batteries that are not included. Uses LED bulbs. Measures 9.5 inches tall by 6.5 inches wide by 5 inches long and is made of plastic.